THE LAST TIME WE HAD 9 BIG TAMIL RELEASES IN ONE DAY! Today marks the 25th year anniversary of an epic Diwali clash, which had 9 releases on the same date. 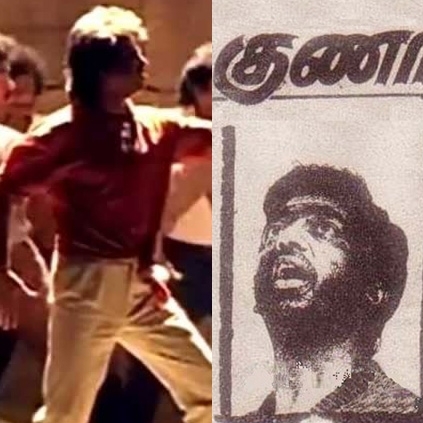 Top heroes then and veterans now like Rajinikanth, Kamal Haasan, Vijayakanth, Sivakumar, K Bhagyaraj, Sathyaraj, Prabhu and Ramarajan, all had a big release on November 5th, 1991. Bramma, En Pottukku Sonthakkaran, Guna, Moondrezhuthil En Moochirukkum, Nenjamundu Nermaiundu, Pillai Paasam, Rudhra, Thalapathi and Thalattu Ketkuthamma were the 9 releases. Out of which 2 releases are still raved about by film critics and fans- Thalapathi and Guna. Thalapathi is considered to be a cult classic today, but however, it was not one of the best-received films of Rajini, box office wise which Rajini himself had admitted once. The climax of the film was altered a little to satisfy Rajini’s fans. On the other hand, Guna had a unique theme and Kamal Haasan’s performance was extraordinary, to say the least. However, it must be noted that the core plot was inspired from a popular Spanish film Tie Me Up! Tie Me Down! Guna was an inspiring attempt from Kamal Haasan and director Santhana Bharathi but again the film did not give them a commercial success tag. This further proves Kamal Haasan’s lines that his biggest failures have been his best period. Sathyaraj’s Bramma, talked about a talented artist who gets into trouble because of an assignment that was given to him. It had good word of mouth and was a commercial success too. One other film that is worth mentioning from the 9 films would be Rudhra. K Bhagyaraj’s clown get up is still being talked about. 9 Tamil films on a single day is no more a possibility, one feels, with the shelf life of a movie being reduced to just over 2 weeks now. Updates About The Bala - Atharva - Sargunam Film! People looking for online information on Guna, Thalapathi will find this news story useful.